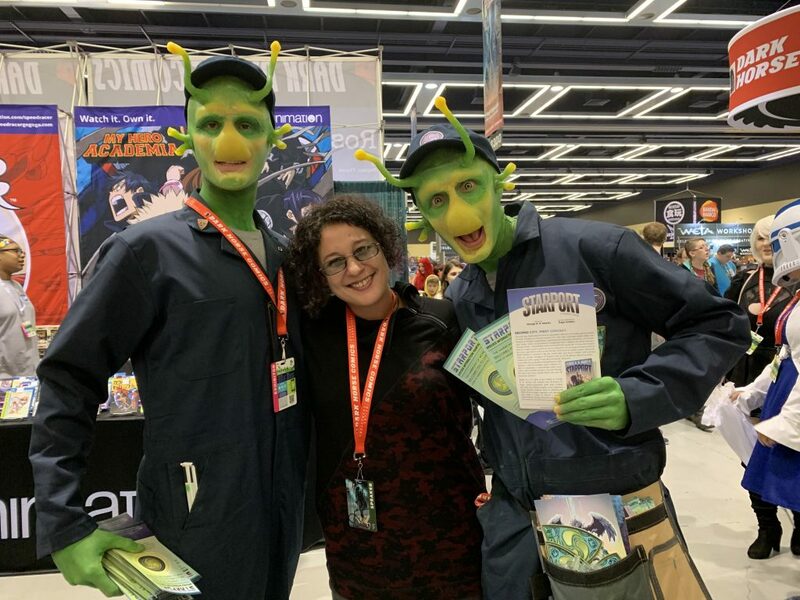 Raya Golden here, minion, art director and social media guru at Fevre River Packet Company and more recently the illustrator behind the new graphic novel adaptation STARPORT. 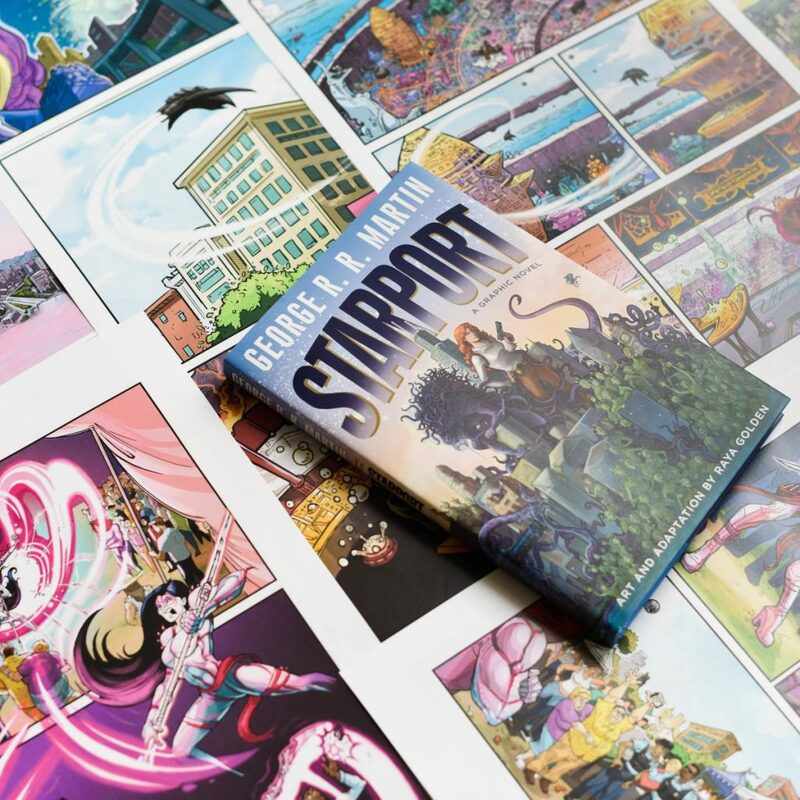 In earlier posts George described how the original pilot script back in the nineties came to be, but I thought I’d share a little bit about my side of the story and the its most recent rebirth in graphic novel form. 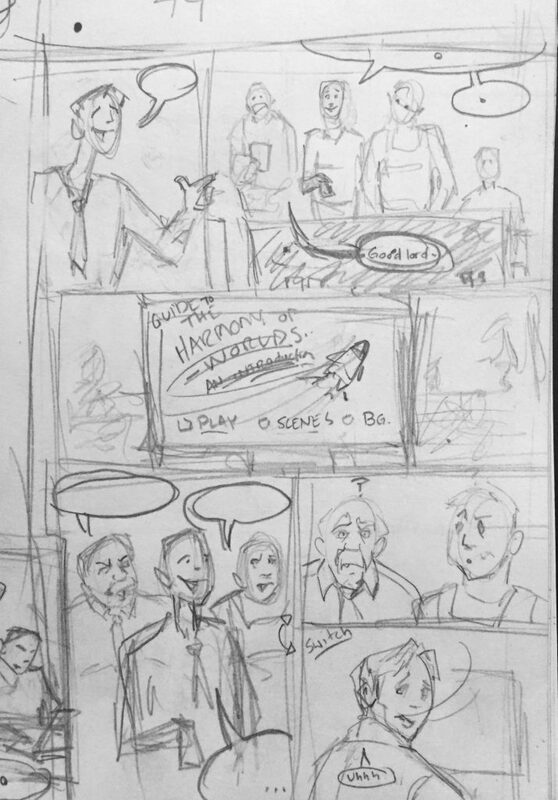 I was given two drafts of the script in 2015 and got right to work on developing them into graphic novel format with the help of the most talented Anne Groell over at Random House. 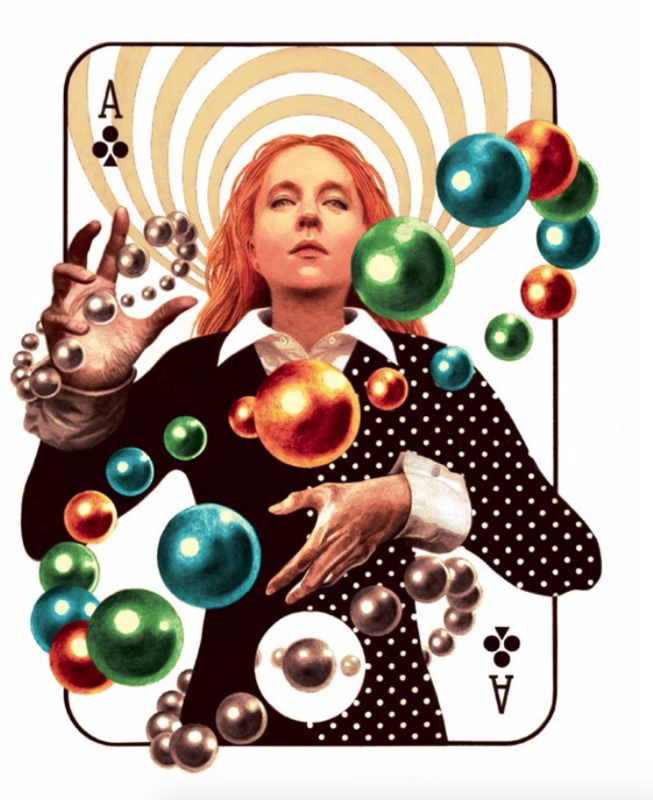 It wasn’t as difficult as adapting literary works because the source material was already set deeply in the world of sequential imagery and had solid entertaining dialogue throughout. 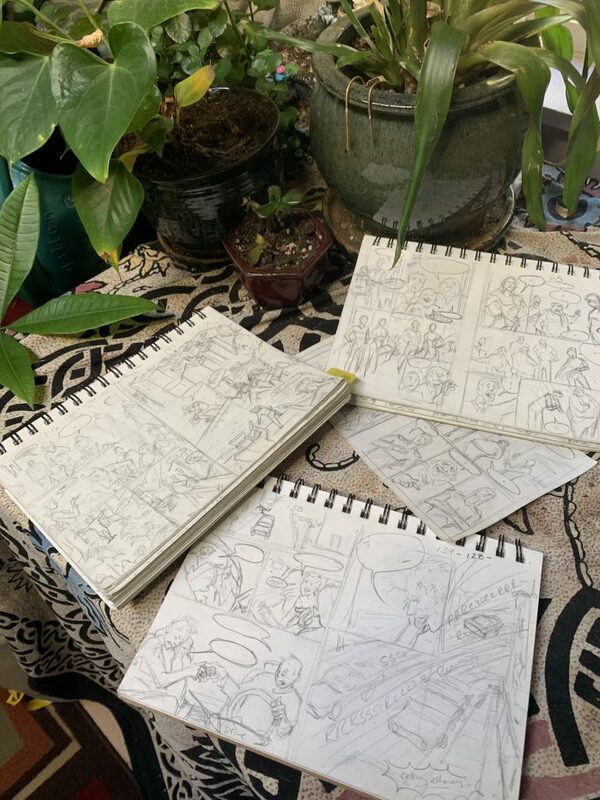 I walked through the two versions of the script by thumb nailing each page while reading both scripts to create a large set of cohesive visual outlines of each working scene. Then I wrote the script following those thumbnails finally leaving the whole pile to Anne who cleaned it up and polished it to perfection. I originally wanted to break the story down into two scripts for smaller more traditional trade paper back editions. But the story is designed as a five act television show and each point played so well into the next it felt silly to try and cut it off in the middle of act three. So I sucked it up and spent the last two and half years creating each panel and page based on those original thumbnails, staying as true to the original story as possible without cutting corners to save time. My personal addition to the text was favoring the older draft of the two and steering away from a hard boiled dramatic feeling to a more comedic one. 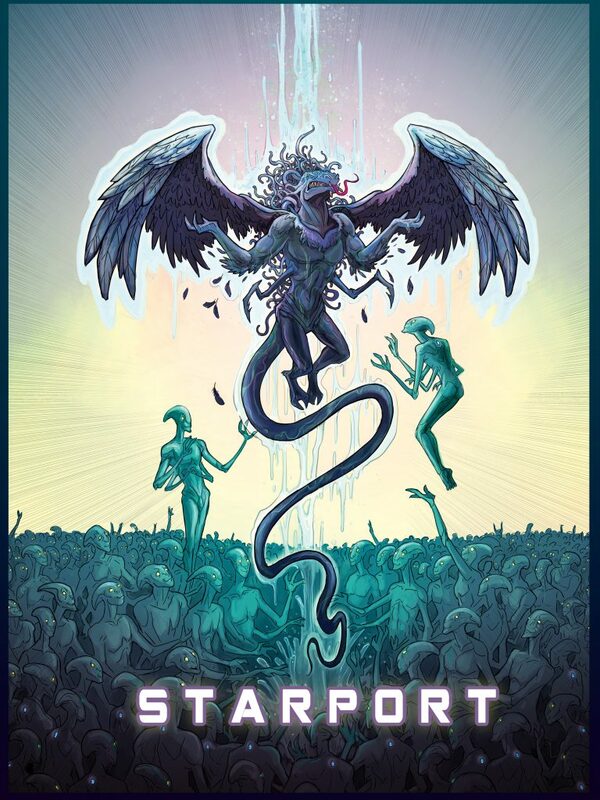 I thought highlighting STARPORT as a bright retro sci-fi extravaganza would accentuate the story with a modern twist, thinking along the lines of Thor: Ragnarok or Rick and Morty. I strove to artistically reflect the verity and richness of his script by bringing my best work to the page, on every page, for nearly 300 pages of retro nineties graphic novel goodness which I dearly hope you’ll enjoy. 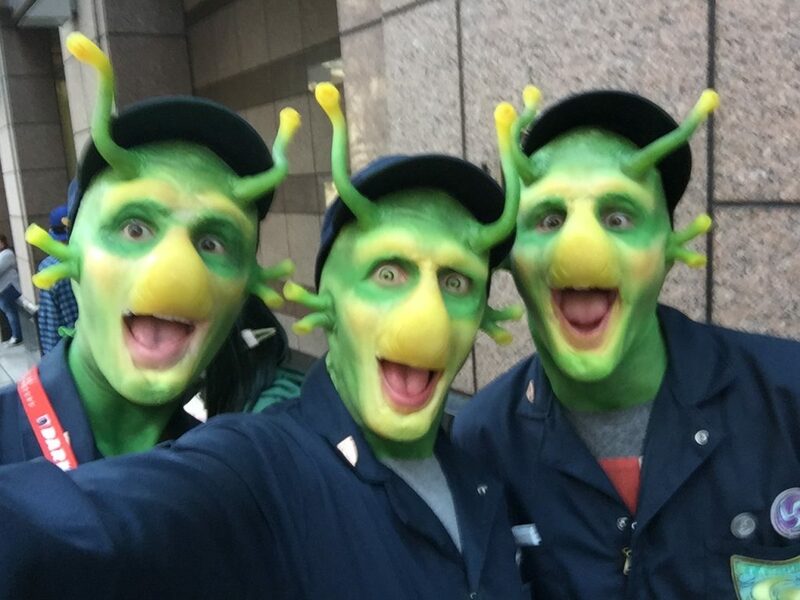 Set ten years into an alternate reality where Aliens have discovered Earth and inducted us into the Harmony of Worlds. Vast fleets of faster-than-light starships, linking nine thousand inhabited planets, moons, and colonies. It’s kind of like the Men in Black, but no more hypnotizing the public or hiding. 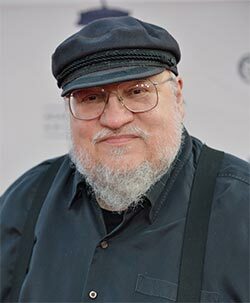 Now they’re just playing cops and robbers with aliens for your entertainment in a brand new alternate universe brought to you by the creative genius of my good friend GRRM. It’s STARPORT and it’s available NOW! Meow Wolf’s conquest of the world continues with their latest announcement: a brand new permanent exhibition, paired with a music venue and a hotel (the first Meow Wolf hotel) in the Roosevelt Row district of Phoenix, Arizona. Meanwhile, the original Meow Wolf in Santa Fe continues, stronger than ever, with several new rooms added last month. A Meow Wolf dark ride will be opening in Denver next month, and later this year the second Meow Wolf will open its doors in Area 15 of Las Vegas, Nevada. Meow Wolf Denver is scheduled for 2020, and Washington D.C. for 2021… and every one of these will be new, original, not simply a duplication of the House of Eternal Return. 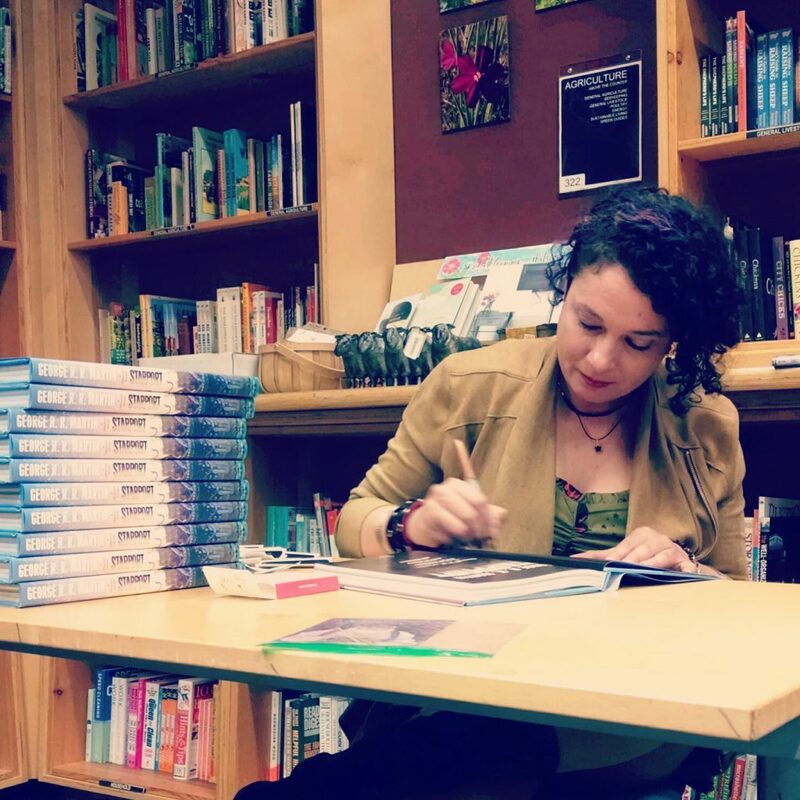 Kittens and wolves, on a roll!